Operation Valentine 2011 was a great success ! Letting the Marines know how much we appreciate them! 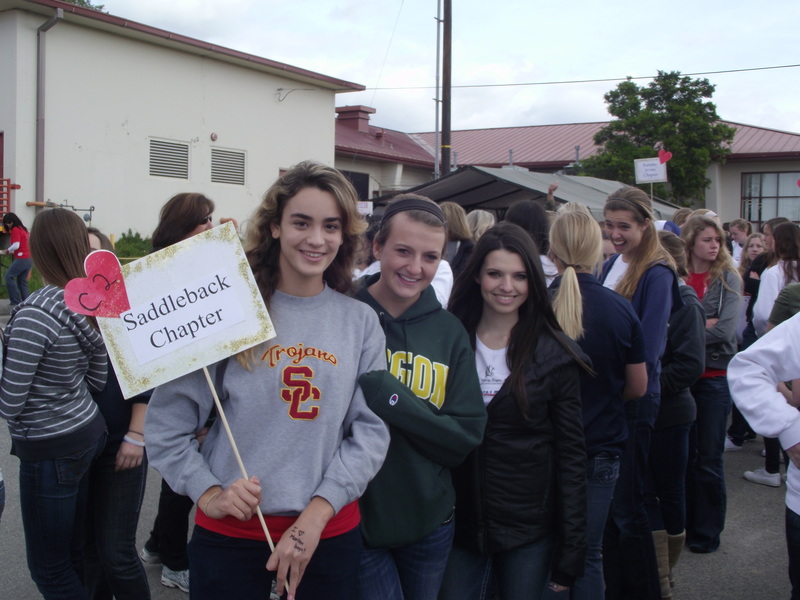 Approximately 1100 mothers and daughters of District V, Region 5 ( Orange County- 13 Chapters) of National Charity League arrived at Camp Pendleton Sunday morning and shared a day with the Marines while packing 2500 care packages for the men and women Marines stationed in Afghanistan. As District Specialist- Philanthropy, I commend this year’s chairperson, Pam Roy on the outstanding job she and the team did. It could not have gone better. 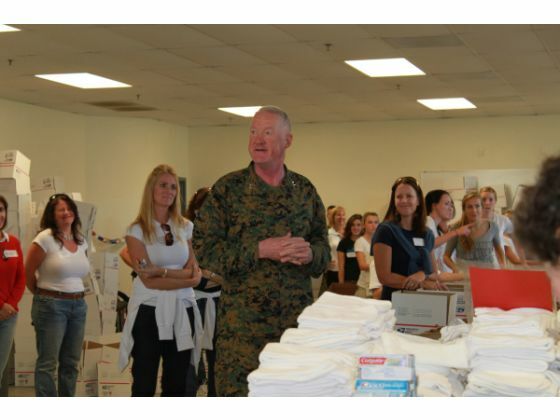 It was inspiring during the course of the day to see moms and daughters asking questions of our Marine hosts, approx.120, who guided the chapters through the rotations of giving a glimpse of Marine life while allowing time for us to pack out the necessary care packages. It was a great day. 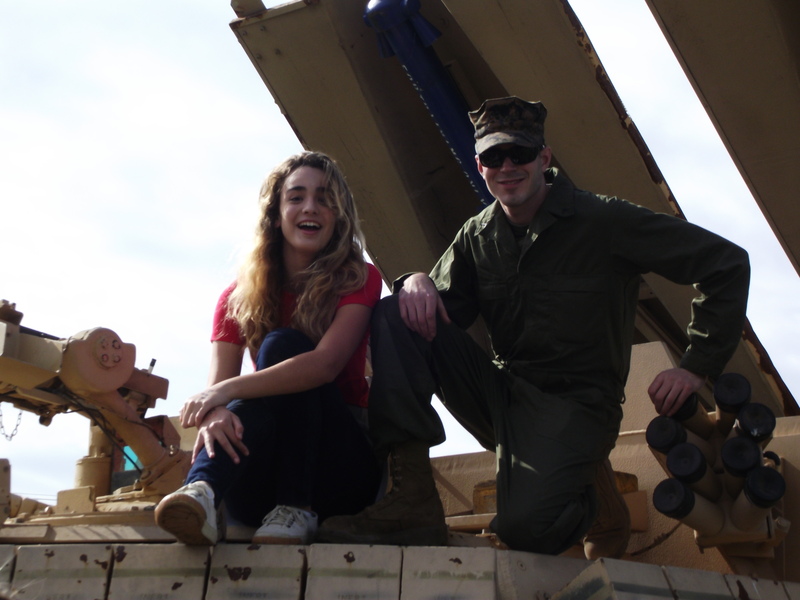 We shared and learned and walked away with a fondness and respect for the Marines and all they give to us. 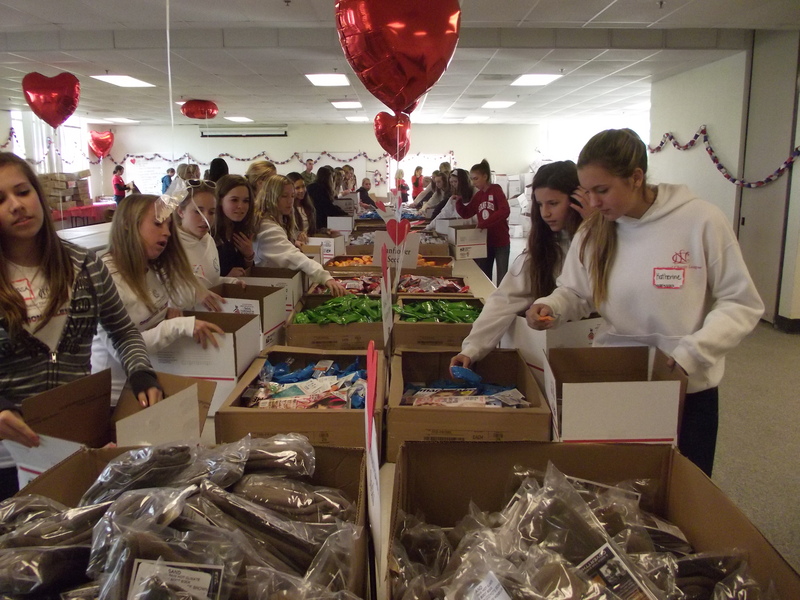 Operation Valentine 2011 will be on January 9, 2011 at Camp Pendleton Marine Base. Enjoy the video of last year’s event, I had the privilege to Chair. This year’s Chair is Pam Roy of the Laguna Chapter. I am now the National District Specialist and still involved. How could I not be ! Enjoy last year’s video. General Mills addressing some of the volunteers. Planning has already begun for Operation Valentine 2011. This year I will participate in the National Charity League District V Executive Planning Committee for the District Event. Melisa Cory the District President feels that we will be involved in Operation Valentine for a 4th year. This is very exciting, as this has been a labor of love for me since I was involved. This year the Executive Committee will be comprised of myself, The District President, Teresa Loge, the District Philanthropy Liaison, and the 2011 Chair of the Event Pam Roy, from the Pacific Coast Chapter. We are very excited about working with our partners and with the executive staff at the Marine Base. 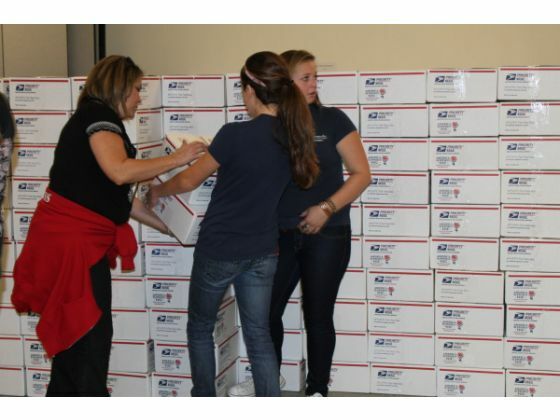 We are planning an exciting event and will plan to send more care packages and provide more funds to the Families Left Behind of the deployed Marines. I will provide updates as they become available. If you would like to help us give our Thanks to the Marines who serve us, from Camp Pendleton , please contact me at myoch@cox.net. Any and all help is appreciated. Clay S. Eckert, DDS, Inc.
Robert M. Rice, DDS, Inc.